Steamboat Springs — Graham Muir can list a dozen reasons why he thinks Manic Training high-intensity interval fitness program is so successful in Steamboat Springs. He said the camaraderie developed in classes helped, as well as the adaptability of his programs, the awesome feeling after a workout and, of course, the long-term results. One thing he’s learned isn’t a reason for the success: the native New Zealander’s thick accent, and now, Manic is planning to continue its expansion outside the Yampa Valley. Next up for the gym is the Front Range, with a location in Highlands Ranch on the southern edge of the Denver metro area set to open this month. That store will join Manic’s slowly growing chain. Two other locations currently exist, one in Wakefield, Rhode Island, and the other in East Greenwich, Rhode Island. A Vail Valley location closed. 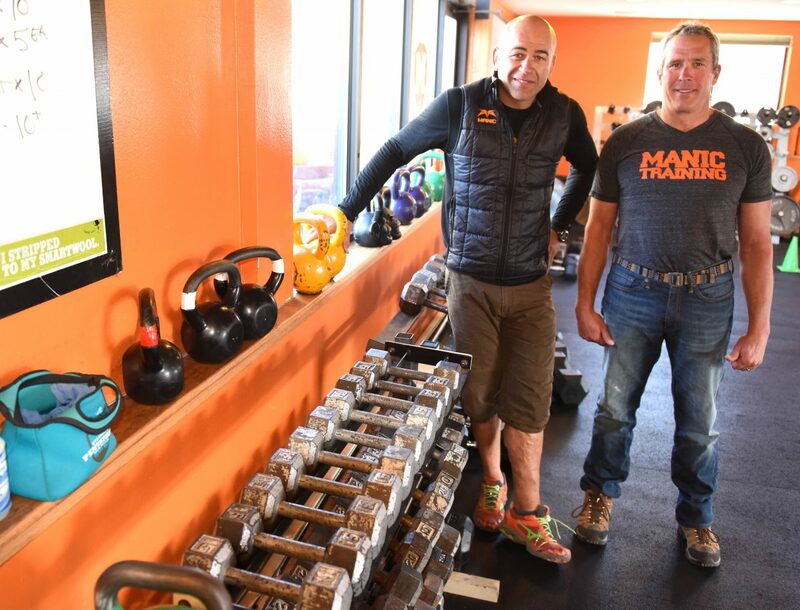 The original Manic Training opened in 2009 in Steamboat Springs, the brainchild of Muir and an offshoot of the hands-on workouts he used with local rugby players. It grew quickly, and in its six years of existence, has continually outgrown its space. Now, it’s located on Downhill Drive in west Steamboat, its third location. “We’ve continued to grow each time,” Muir said. Dave Barnes, bored at the gym and turned off by other workout options by a wonky shoulder, was among those locals who were sucked into the program. After more than a year attending classes, it struck him that the idea might work elsewhere, too, and he pitched Muir on expansion, first taking the program to Rhode Island, where he had other business interests. “Graham let me run with the idea of hopefully making it into a franchise,” Barnes said. After they found space and the right instructor to run the first East Coast store, Muir began sending workouts to that operation, typically three weeks behind the Steamboat classes to allow for fine-tuning and alterations, if needed. Turns out, it wasn’t the accent that made the program such a hit in Steamboat, either. Now with a second successful location in Rhode Island, the plan is to establish a footprint on the Front Range. Barnes is opening the Highlands Ranch location with his nephew, Pete Beuth, formerly a photographer for Steamboat Powdercats. It’s a different world from Steamboat. Barnes said in the time it took to rent, outfit and license the location, five new gyms started up in the same area. Still, they still remain confident and are ready to open even more locations in the area every three to six months, if the first takes off as they expect.